GO Outdoors is already a national brand and is by far the largest retailer of outdoor goods in the UK currently trading through 43 superstores and a rapidly growing website. Extending the geographic footprint into new town and city locations will make us accessible to many more customers, further build awareness of our brand and maximise our already sector leading Multichannel capabilities. We have opened three stores so far this year with more planned for the second half. Developing the website with stores at the heart of our Multichannel strategy will support this physical presence and cater for customers who live outside our store catchment areas. Most of our store and online customers shop with us using the GO Outdoors Discount Card and this gives us considerable insight into our customer’s behaviour and interests. The biggest challenge, although very welcome, is using this data effectively across the business to build relationships with customers and communicate effectively through email and our printed catalogue that is mailed to cardholders each month. Our monthly promotional catalogue along with email marketing is consistently one of our most cost-effective marketing channels. So far and a year into my time with GO – nothing. I agreed a clear plan with the Board when I arrived and I am steadily working through it. I have recruited a great team of digital experts with varied backgrounds from across the retail industry and they are working effectively with the talented team I found when I arrived to drive the Multichannel business forward. GO customers love our stores! We attract large crowds at every store opening and within a year generate a database of tens of thousands of customers. We know our customers use the website as part of the research journey and tend to arrive in store with a pretty good idea of what they want but maybe a desire to try an item on for size or check a colour. We also know that customers use our channels to suit their needs and often visit stores to research and then order home delivery for heavy or bulky lines as well as checking stock before travelling. I think the challenge in a digital age is to define a role for stores that will give customers sufficient reasons to visit. Our stores have climbing walls, tent fields, gait analysis machines, boot fitting areas, cycle servicing, cafes and changing rooms which all add value to visiting. Our stores are located in out of town locations and are often stand alone with customers driving for up to an hour to visit us. Increasingly customers will shop out of town or online as parking and lack of choice reduce the benefit of local shopping on high streets. I am sure that other businesses will fill the void probably associated with entertainment and leisure rather than shopping. Mobile traffic to our site is growing almost as fast as tablet traffic because consumer behaviours rapidly evolve around a variety of devices that suit their needs at different times of day and in different situations. This opens up opportunities for customers to browse, research, and shop on the move as well as interact in real time with advertising. I doubt mobile will ever become the main sales channel as there are traditional devices that offer a better experience for transacting but it will increasingly play a key role in customer shopping journeys. I have been really impressed by the comprehensive Multichannel capability of Toolstation who have taken a great online proposition and built a significant retail chain of shop units to serve their target customers conveniently. I am pleased with the results to date but there is still a lot left to do. Ultimately success will be judged by customers voting with their wallets and in the end that is the only verdict that counts. 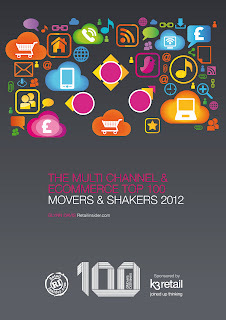 10. Who would you place in the Top 20 Multi-channel/e-commerce Movers &amp; Shakers? 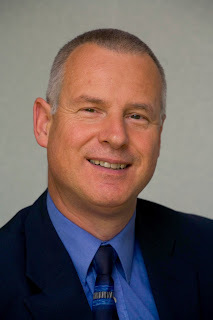 Simon Harrow of Morrisons/Kiddicare. I think he has great vision and gets things done.